Who’s the fairest of them all? 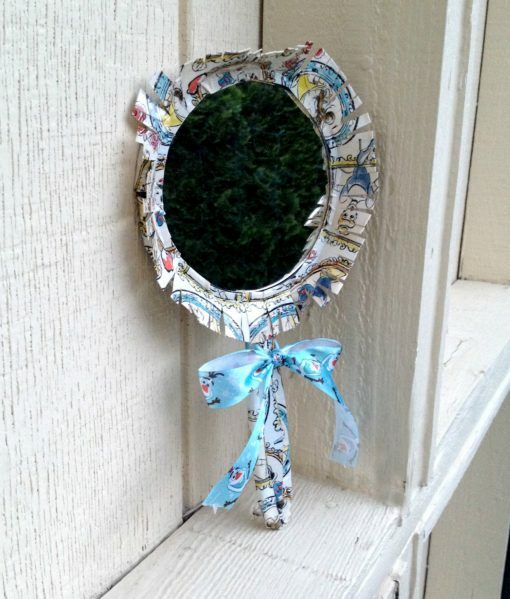 YOU are, with this pretty Disney Princess duct tape hand mirror! 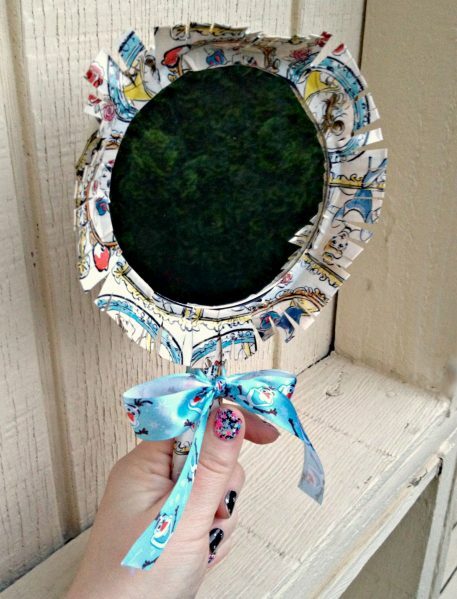 Transform a boring dollar store hand mirror into a magical mirror fit for a princess, with just a few simple supplies and techniques. 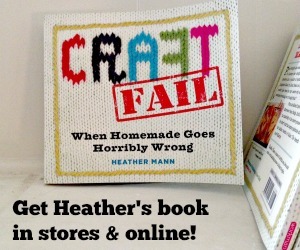 Come find out how to make it! My family and I are getting ready to go on a dream vacation to Walt Disney World in Florida, to attend the Disney Social Media Moms Celebration, and also to have a family vacation. Visiting WDW is a first-time for everyone in my family (the kids have never been to any Disney parks). 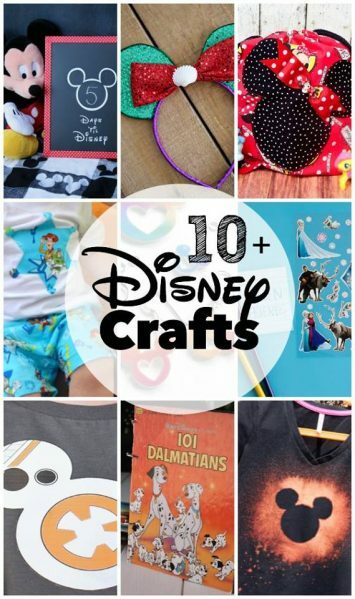 To celebrate, some of my crafty blogger friends (who are also attending the conference) and I are sharing some Disney-themed craft tutorials with you. 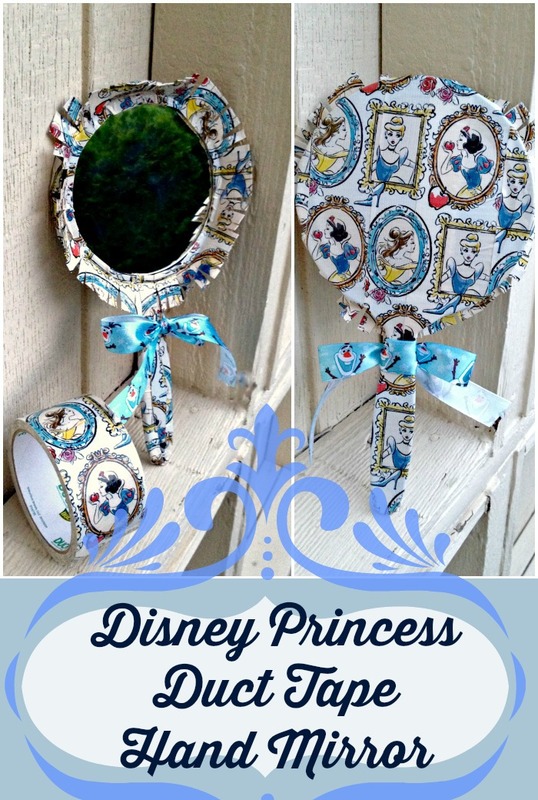 For my project, I created this cute and simple duct tape craft, featuring a very pretty printed tape from Duck Brand with Disney Princesses on it! I just knew I had to come up with something great to make with the Disney Princesses Duck Tape. 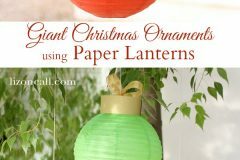 NOTE: You could make this project for $2 if you use dollar store patterned duct tape, or $1 if you use duct tape you already have on hand! Gather your supplies! 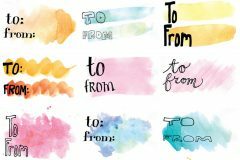 This project is quick and easy. It will take you about 15 minutes to make. 1. 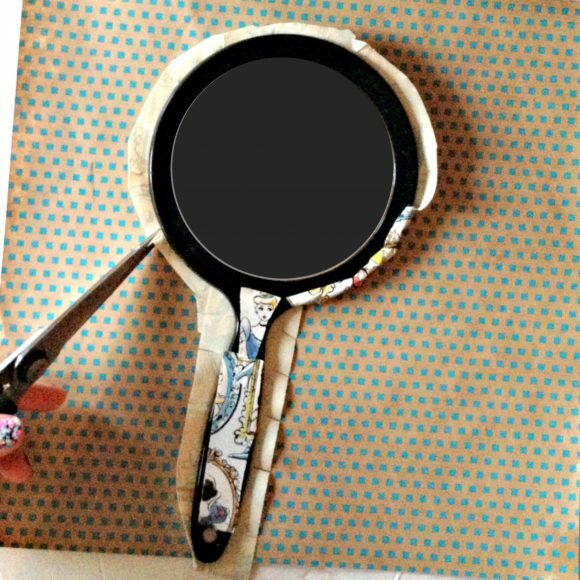 Cover the back of the mirror with overlapping strips of duct tape. 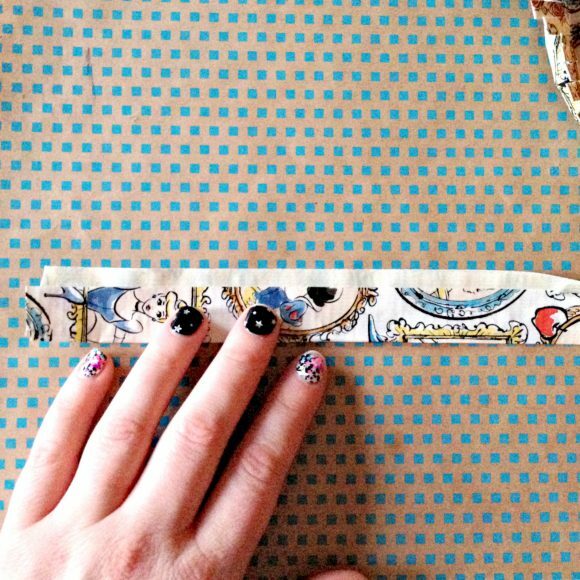 Since the Disney Princess Duck Tape is a continuous pattern, you can match up the pattern if you want. Leave about 1″ overlapping duct tape around the sides. 2. 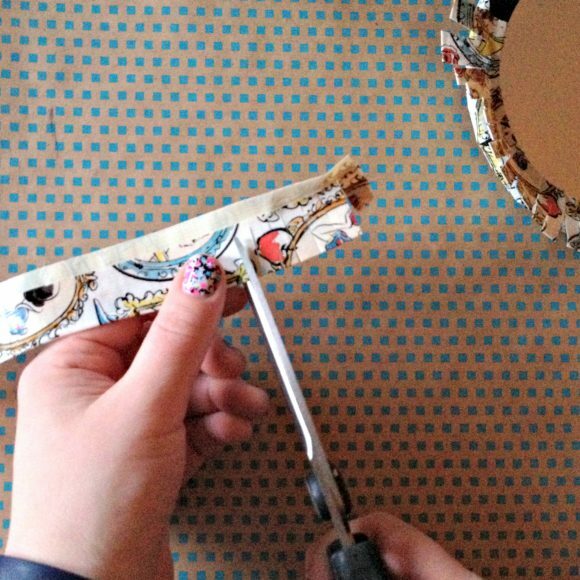 Trim the tape around the mirror so the duct tape is an even distance around the outside of the mirror. 3. 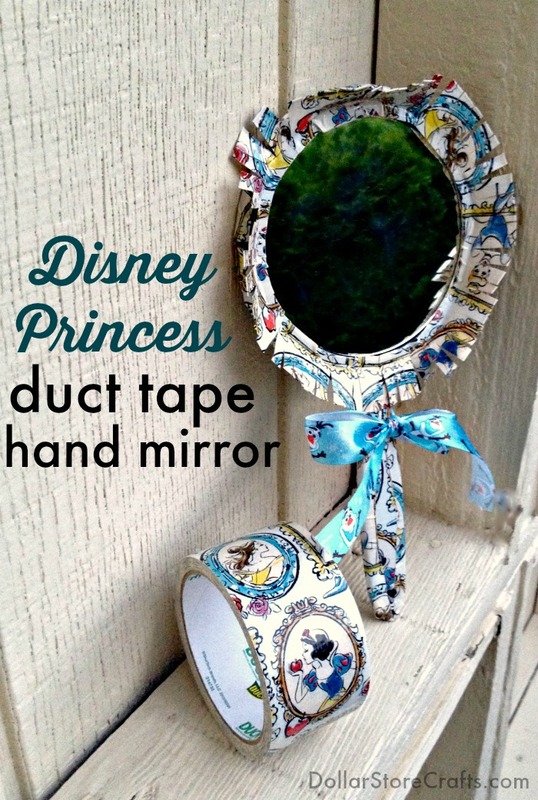 Cover the front of the mirror handle with duct tape. 4. Cut slits into the duct tape around every curved area (I just cut slits into the whole thing, about 1″ apart from each other). 5. 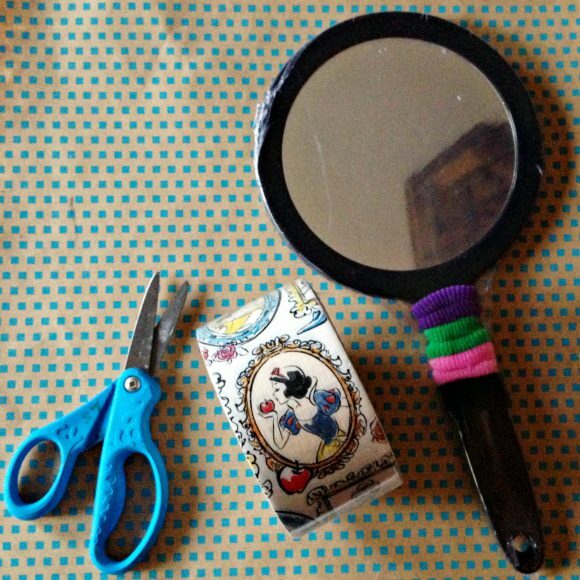 Gently wrap the duct tape tabs you cut around the edges of the mirror, smoothing to eliminate creases, wrinkles, and bubbles. 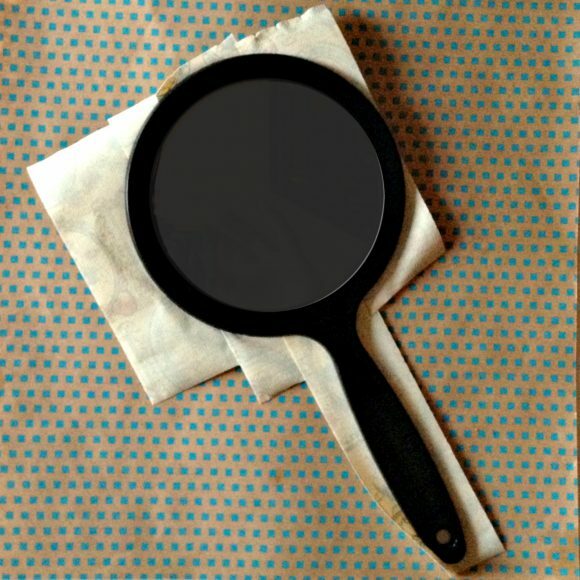 This is what the back of the mirror looks like — as you can see, I matched up the pattern for most of the mirror. 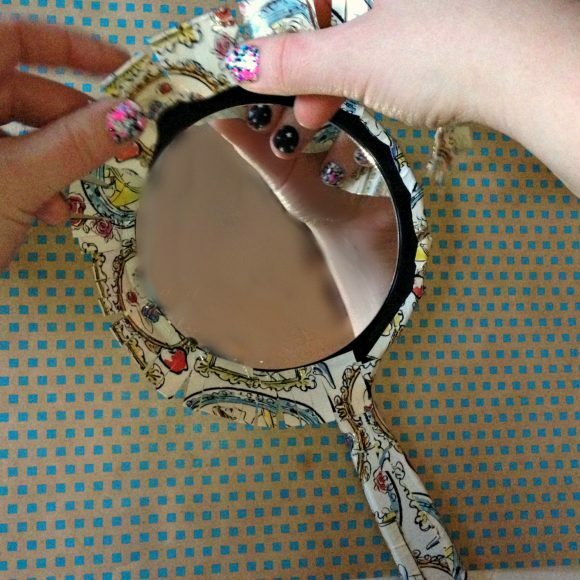 Next, we are going to make the fringe that goes around the front of the mirror. 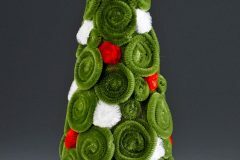 This is a simple decorative duct tape technique! 1. First, cut a strip of duct tape and fold it lengthwise (long way), leaving about 1/2″ of the sticky part exposed. 2. Cut slits into the duct tape on the folded side. Cut up to the edge of where you folded, but leave the sticky part of the tape intact. 3. 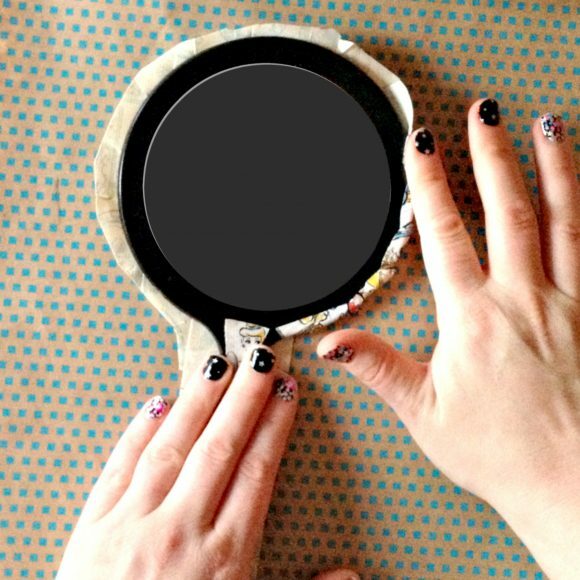 Using the sticky part of the fringe, apply the fringe to the edge of the mirror. Because of the fringing technique, these pieces have a bit of give, so they go around the curved mirror pretty easily. If you don’t have enough fringe, cut another piece and repeat the fringe-making process. You can just overlap a little at the edges of the fringe when you are applying a second piece. 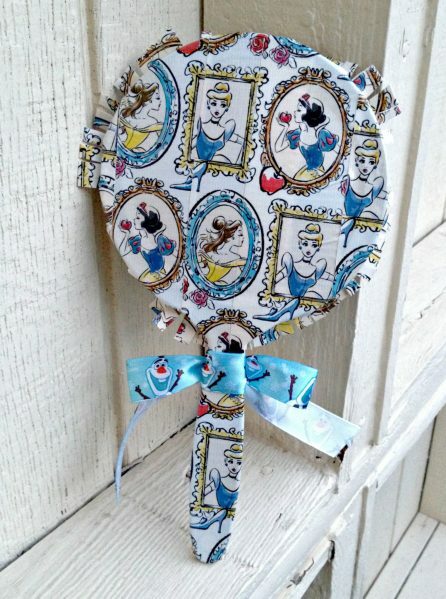 To finish the princessy look of the hand mirror, I added a piece of ribbon (it has Olaf on it – I know he’s not a princess, but he does enjoy warm hugs!). My son gave me this Olaf ribbon for Christmas, so I’m glad I got to use it in a place of honor on a special craft project. 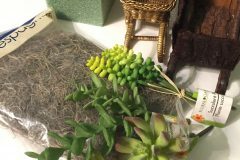 Be sure to watch the short videos I included in this post if you are confused. They will help you figure out this simple and quick duct tape craft! 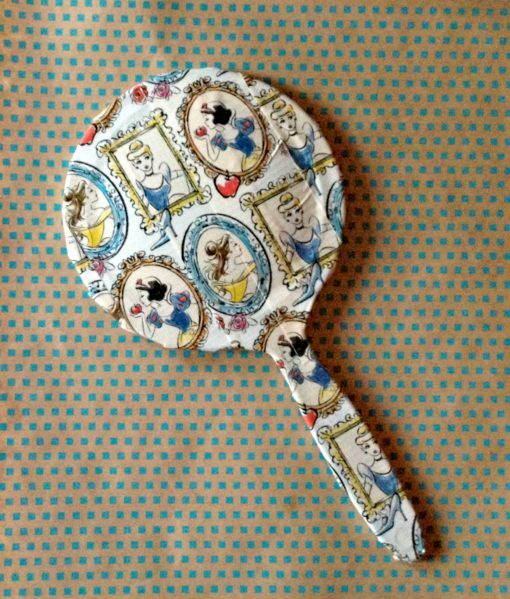 Maybe I should make a matching dollar store hairbrush featuring the Disney Princesses — what do you think? 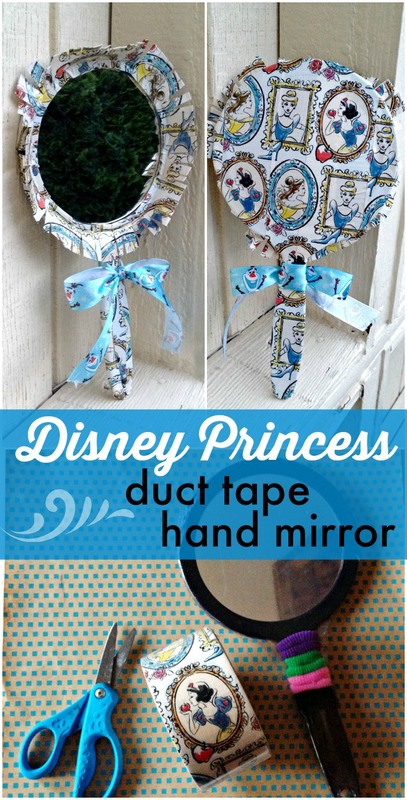 Love this Disney Princess duct tape! 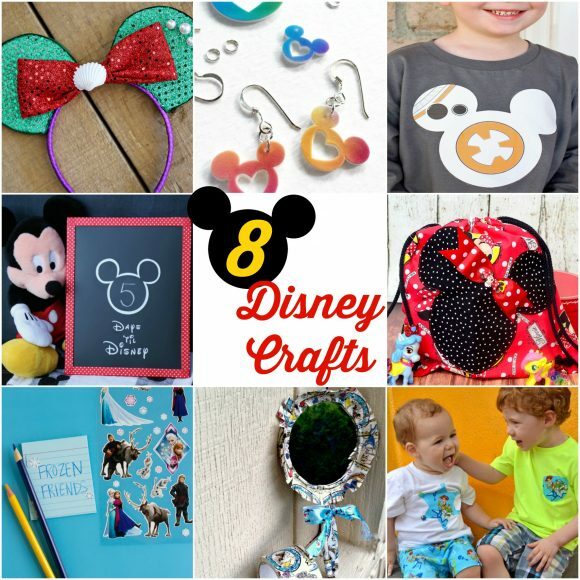 Don’t forget to visit my friends who are sharing their own Disney-themed craft tutorials! Disclosure: Not a paid or sponsored post, by any of the brands mentioned. Affiliate links.